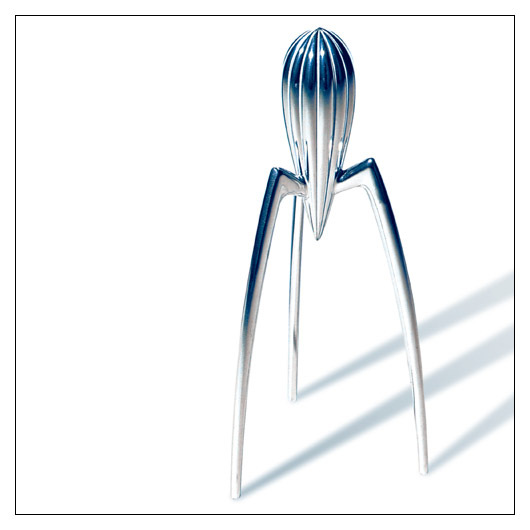 Alessi Juicy Salif Citrus-Squeezer (ALJUICYSALIF) at Pure Design / Accessories / Kitchen ::: Furniture for the Home, Office, Home Office, and More at Pure Design Online! It looks so cool it can't possibly work. But it does! The Juicy Salif will look fantastic whether collecting dust in your study or waiting for you to make the morning's fresh OJ. You know you want one.